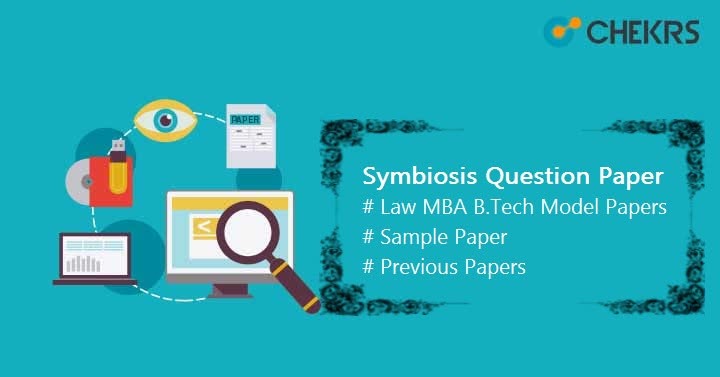 Symbiosis Question Paper 2019: Symbiosis International University provides admission into various courses through a variety of exams conducted by the university itself. The Admission will be provided into its own institutions located in Noida and Pune. For preparation for all these exams such as SET Engg. or SIT Engineering Entrance Exam, SLAT, SET Design, SET General, and SNAP, candidates need some Symbiosis Sample Paper. That’s why we have prepared this Article. After a very time-consuming research in this busy schedule, we have found some of the old papers for Law, MBA, and B.Tech. We are providing all these papers here. We are still in the search for more, and we will update the table soon. The Actual problem is that the Exam is being conducted through Online mode and after or before the examination, They doesn’t provide Symbiosis Previous Years Papers or sample papers. As we already said that SET Papers are very hard to find, and that’s why we are only providing these two papers in this Symbiosis Sample Paper table. These will be important for students who are preparing for SET for Designing. Just Download these Symbiosis Solved Papers and Sample Papers and start solving them. These Papers will help you to understand the papers and preparation requirement for all the Symbiosis Exams. How beneficial Symbiosis Sample Papers are? Symbiosis Model Papers, Sample Papers, Solved Papers, Previous Papers will be very beneficial. A candidate can get details of Exam Pattern, Scheme, and difficulty level while solving the Symbiosis Sample Papers. After observing the Papers, Candidate will be able to plan better for the Preparation and for the exam. Candidate will be able to observe their mistakes and work on them before appearing in the exam. Regular practice will definitely boost the Speed, Efficiency, and performance in the exam. That’s it guys, We would like to conclude this post here with the hope that these papers will be helpful. We are doing continuous research and thus we will update this post according to the new found. Good Luck & Keep Visiting.